Search Engine Optimization (SEO) is all about making your website rank well in search engines. Even with the recent popularity of Bing, Google still gets around 80% of search traffic. When we talk about search engines, we’re talking about Google. Everything you do to optimize your site helps to answer those two questions in your favor. In the first step, choosing keyphrases, you identify search terms that will bring the most high-quality traffic to your site. 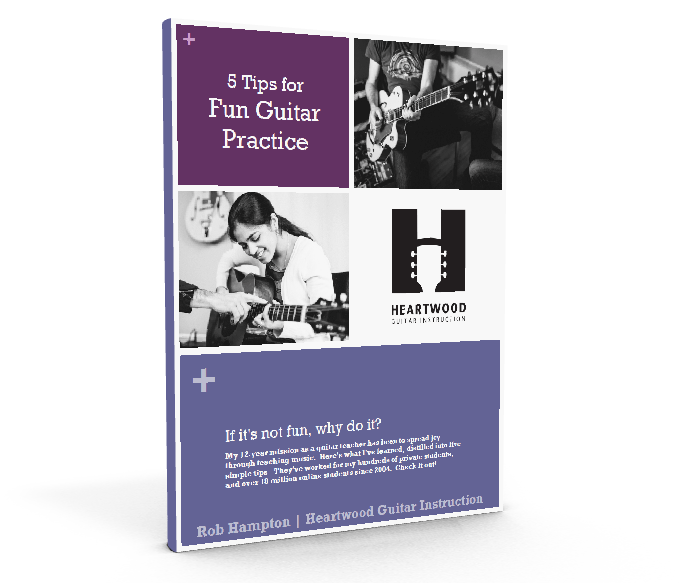 For guitar teachers, this is an easy task–there are two phrases that people usually use when searching for lessons: “Guitar lessons” and “guitar teacher.” Add the name of your town to either of these phrases, and you’ve got a great keyphrase to target. The second step involves inserting those terms into places in your site that search engines have deemed important. The third step, linkbuilding, boosts the perceived popularity of your site. Search engines look at inbound links (IBL’s) as votes of confidence in your site. The more links from big, respected websites you have, the more popular you’re perceived to be, and the higher you’ll rank. If you have some html skills, you can probably do this work yourself. If not, hire a web designer to do it for you, and send them the link to the “Quick Start” page. Or, if your adventurous, you can teach yourself to edit, or even build, your own website by taking some free online tutorials. That’s what I did. Check them out in the SEO Resources section.